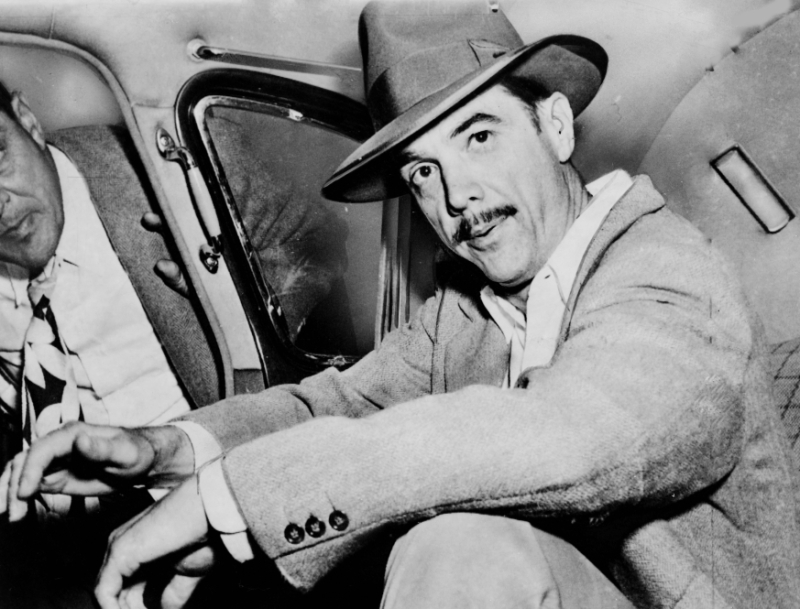 Did Howard Hughes View a Captured UFO and Its Occupants? 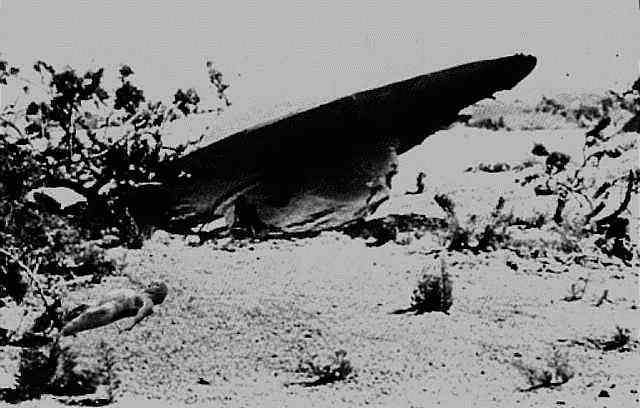 Did Howard Hughes ever get a chance to view a captured or crashed UFO and its occupants? I have long pondered this question and there may now be an answer to it. According to a former employee of Hughes Aircraft, he did. The visit allegedly occurred not long after the crash of an alien spacecraft near Roswell, New Mexico, in 1947. You may think this story belongs in the BELIEVE OR NOT file and you may be right, but I feel compelled to pass it on to you anyway. Linda is a retired teacher. She taught in public and private schools for over thirty years and has emailed me an impressive array of diplomas and certifications. She also emailed a few photos and some paperwork that verifies the fact that her father probably worked for Howard Hughes. Because she asked for anonymity, I cannot say much more about her or divulge where she currently lives at this time. I have encouraged her to come forward at some point and tell her own story in her own words. Linda says that her father was involved with Hughes Aircraft as early as 1942, but the time frame that concerns this story is the year 1947. It was during the summer of that year that Howard Hughes was obsessed with getting his oversized wooden seaplane nicknamed the " Spruce Goose” ready for a test flight. Officially known as the H-4 Hercules, the aircraft flew only once on November 2, 1947. The amount of time and work that went into getting the Hercules ready for that flight was unbelievable. Her father worked closely with Hughes during the Hercules project and later became a full-time employee of Hughes Aircraft. The two men met after he was referred to Hughes by a mutual acquaintance just after the USA declared war on the Axis powers and entered World War II. Linda told me that Hughes used as her dad as a “problem solver.” He had a knack for being able to look at most any mechanical problem and quickly suggest a practical solution. He also had the kind of temperament that allowed him to work with the eccentric billionaire. Hughes was besieged with a number of problems during the summer of 1947 including a U.S. Senate inquiry into the way he had managed funds for the Hercules and XF-11 Photoreconnaissance Aircraft projects. Linda says that shortly after he testified at the Senate hearings, Howard Hughes returned to oversee work on the Hercules and spoke to her father about his possible involvement in an important government project. According to Linda, Howard Hughes and her father were not friends and her dad would probably not be considered a part of Hughes‘ inner circle if such a thing existed. However, he did spend a lot of time with Hughes during the Hercules project and the two had a casual working relationship as long as her father delivered the goods. She told me that her dad said he was busy brainstorming with some engineers when Hughes summoned him into an empty office. Hughes had a kind of inquisitively stern look on his face and that usually meant that he wanted some advice on how to solve a problem or was about to start a new project. Howard stepped away from the door to the office, but didn’t close it. There was enough noise outside of the office so that no one could hear their conversation anyway. Howard sat down on a stool near the window. Linda’s father stepped over to where he was sitting and listened intently. Hughes hated repeating himself and despised people that were not good listeners. Hughes told her dad that he had been contacted by a “high ranking member of the United States Armed Forces” while he was in Washington, D.C. The billionaire was used to receiving unusual requests from the military. He was known as someone that could keep a secret and solve complicated problems. According to Linda’s father, this one might have been the mother of all the most secret and complicated situations that the government ever faced. Hughes said that he visited a military base on the way back from the congressional hearings. He didn’t mention where it was located and provided few details about what happened there. Linda’s father said that Hughes seemed uncomfortable talking about his visit to the base. He hated situations that he couldn’t personally control and seemed to indicate that the entire event was orchestrated and controlled by the military. With the exception of Hughes, no civilians were present. Howard said that they showed him a new type of aircraft. Most of it was in pieces and it was obvious that the thing had crashed or been shot down. Hughes assumed it might have been something that the Russians cooked up. It wasn’t until Hughes got closer to the material that he noticed it was anything but conventional. He didn’t pick up or touch any of it, but told Linda’s father that it looked like “the damnedest stuff I’ve ever seen.” The military officers present told him that despite the fact that it was in pieces, the material was extremely resistant to heat, cold and pressure. They also said that it was almost impossible to penetrate, yet it might have been an implosion that caused the crash. Howard never said if it had any writing on it and provided no further details about the material or the aircraft. Hughes told Linda’s father that the dead bodies of the crew members from the aircraft had also been recovered by the military and were mostly intact. He said they allowed him to view the bodies and described them as looking like “dwarves” or “deformed midgets” wearing seamless flight suits. He added no details about where or how they were being kept. Instead, he got right to the point. “They want me to figure this thing out and I want you on board,” Hughes explained. That was the end of their meeting. A few weeks later Hughes took Linda’s father aside again and told him to forget about their previous conversation in the office. He gave her dad the impression that there were too many hassles and not enough money for him to get involved with that project. Her father felt it was more plausible to believe that Hughes wouldn’t have been able to run the show and didn’t want to get involved with something he couldn’t fully direct. Or, perhaps he knew or had learned something more about the project that turned him off to it. It wasn’t until many years after their conversation in that office that Linda’s father came to realize that Hughes might have been talking about a crashed UFO and, specifically, one that probably crashed or was shot down during the summer of 1947. Her dad had never shown any type of interest in UFOs or Aliens. Linda believed he might have come across the information about one of the UFO crashes from the tabloids that his wife read. The timing would have been correct because I saved issues of the National Enquirer and other supermarket tabloids during the 1970s and recall articles about alien and military encounters and UFO crashes. I have a million more questions for Linda, but it is obvious that her father was given little more than a thumbnail sketch about Howard Hughes experience with a strange object and its occupants. He was only able to tell her what Hughes had told him. Not the best scenario, so I cannot say for sure that this story involves a crashed UFO and it‘s occupants. I can say that I believe Linda’s dad heard a story about a strange aircraft and unusually tiny crew members from Howard Hughes and that he told it to his daughter just the way he heard it, straight from the horse’s mouth. I have been researching Linda’s story for about a week. I have spoken with her over the phone on several occasions. With her permission, I recorded the calls and subjected them to a voice stress analysis using an inexpensive testing unit I purchased a few years ago. If accurate, the results indicate that she was not being deceptive during our conversation. As a experienced UFO researcher, I was pleased that she cooperated with various requests I had for more information. That is almost always a good sign. Linda has emailed enough documentation to make me believe that she is who she claims to be and that her father was employed at Hughes Aircraft. The materials she provided indicate that he probably worked for Howard Hughes on specific projects as a consultant before he became a full time employee. Because Hughes never told him that he actually saw an alien spacecraft or referred to the dead crew members as aliens, we have to fill in the blanks with some careful speculation. Bill Knell is a popular paranormal author, speaker and consultant.